This model has finished production. 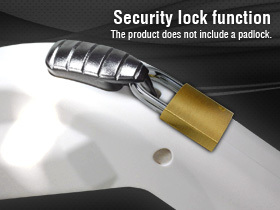 A durable metal latch is used for the portion where a load is applied at the time of insertion and removal. Designed and constructed to prevent leakage currents even in the event of water intrusion. The connector will not break when dropped from a height of 1m.